Vladimir Putin had a working meeting with Minister of Industry and Trade Denis Manturov to discuss support measures for certain industrial sectors, in particular, for agricultural engineering. You wanted to discuss the agricultural engineering sector. Please, go ahead. Mr. President, I would like to show you the information I have prepared. In 2008, the agricultural engineering sector was in a very serious predicament. You visited the Rostselmash enterprise in December. The plant was effectively standing idle at that moment and 2,000 people had been laid off. Yes, I remember. The machinery was standing idle on the factory floor. There were 1,500 combine harvesters waiting in the warehouses and the workers had gone over to 3-day working week. You decided then on systemic measures that changed the future not only of Rostselmash but that of the entire sector. People said the sector was not very ‘market-oriented’. This was the case at that moment, Mr. President, because the equipment and technology were developed during the Soviet era, but new technology and models have appeared since then and are competitive not only on the Russian market but on markets abroad too, and not only in neighboring countries, but on markets further abroad, including North America. We bought a business in Canada, and some models (Versatile) have had their production moved here and localized. They use engines from the plant you visited in Yaroslavl, YaMZ (Yaroslavl Motor Plant). This machinery is well adapted and suitable for use here and production has increased 2.5-fold over the last three years. Implementation of a package of systemic measures last year made it possible to support development of new models and produce new combine harvesters for grain and fodder, and new high-energy tractors from the Petersburgsky Traktorny Zavod (Petersburg Tractor Plant). The sector posted good production growth results in 2016. What was the figure? The picture varies from one segment to another, but output was up by more than 30 percent for grain combine harvesters, more than 60 percent for combine harvesters for fodder, 60 percent for high-energy tractors, and 37 percent for trucks. This positive trend has continued over the last three years. The Russian Government accorded more than 11 billion rubles last year to support the sector by compensating for the discounts at which the agricultural machinery producers sell their goods to the farmers, and this made it possible to deliver 15,500 pieces of new machinery. This is part of resolution 1312? Yes, that’s right. The support through the comprehensive investment projects and the Industrial Development Fund will ensure production of new combine harvesters for grain and fodder, and we hope to use the export support measures that have been approved to develop our presence on markets abroad. We hope to double exports in this sector by 2018. We want to implement a similar program for food processing machinery, building on the synergy effect we are seeing now in this sector and on the development we see in general now in the countryside. We are still dependent on foreign suppliers for up to 87 percent of equipment in the food processing machinery sector. This year, we have decided for the first time to carry out a support program in this sector. We will allocate 1 billion rubles for production of these goods and development of new models, and we hope for at least 25 percent growth this year. 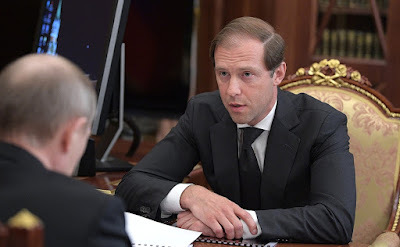 Mr. Manturov, we met to discuss support measures for industry at the end of last year and reached agreement with the Finance Ministry on additional resources. What has been decided? 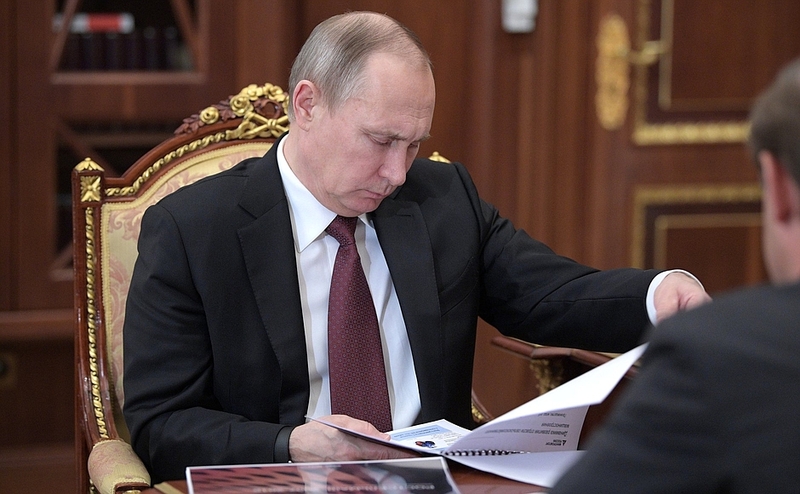 The Russian Government has decided to allocate 107.5 billion rubles this year for key economic sectors. These are above all the automotive industry, which will receive more than 60 billion rubles, including measures to support demand, preferential leasing, vehicle purchase loans at preferential conditions, and purchase of ambulances and school buses for the regions. Other priority sectors include agricultural machinery, as I said, which will receive 13.7 billion rubles. Then there is light industry, which also posted growth last year of more than 10 percent overall for the sewing and textiles segment, and around 16 percent for leather goods. Light industry will receive 2.2 billion. The food processing machinery sector will receive support for the first time with 1 billion rubles, and 2.5 billion rubles will be allocated for road construction machinery. This sector had good results as it was in 2016. The problem is that enterprises are running at no more than 25 percent of their capacity at the moment. We hope that this comprehensive support will boost both research and development work and production and will help to promote Russian-made machinery on the markets. Have you settled the total volume of support for the various sectors you mentioned? This 107.5 billion is a figure already approved by the Russian Government. We will draft all needed laws and regulations to ensure that we provide systemic support throughout the year to industry, including by topping up the Industry Development Fund’s capitalization by 17.4 billion rubles, and we will do this as last year, working according to a timetable approved with the Finance Ministry. Vladimir Putin meeting with Minister of Industry and Trade Denis Manturov. 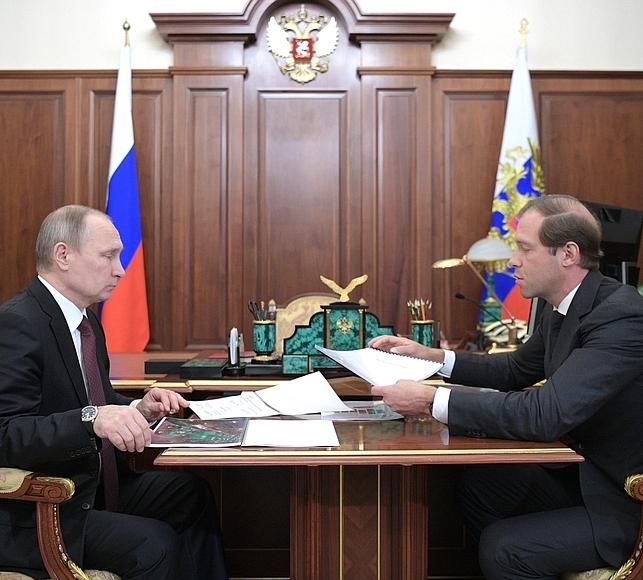 Denis Manturov with President Putin at Kremlin. Vladimir Putin at the working meeting with Denis Manturov. 0 Comment to "Putin met with Minister of Industry and Trade"